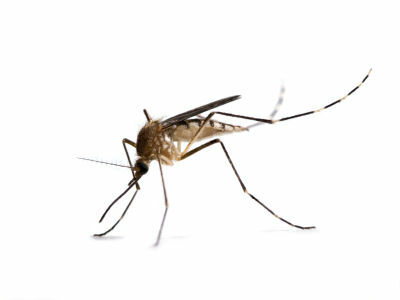 Fort Myers, Cape Coral, Naples and the surrounding southwest Florida area is home to many species of mosquitoes. Mosquitoes are two-winged flies that belong to the family Culicidae in the order Diptera. In total there are approximately 3,500 species of mosquitoes. The family Culicidae is divided into three subfamilies: Toxorhynchitinae, Anophelinae, and Culicinae. Worldwide, there are 37 genera of mosquitoes. Mosquitoes live in humid tropics and subtropics, warm moist climates, temperate and cool zones – everywhere except areas that are permanently frozen. The larval stage of the mosquito is spent on and in the water. The larvae have no legs and spend a majority of time at the water’s surface. The larval stage is often referred to as “wriggler” or “wiggler”, from the lashing movements of the abdomen that allow them to move in the water. They can stay submerged for considerable amounts of time. Feeding during the larval mosquito stage happens through ingestion of particles filtered from the water, ingestion of surface biofilms, shredding leaves, and consumption of other smaller larvae and insects. The larvae are edible to the non-feeding, yet active, members of the pupa. During the larval stage, the mosquito will molt, four times – the periods between the molts is called an instar stage. The mosquito larva stop feeding towards the end of the 4th instar. The pupal stage of the mosquito is aquatic also. The mosquito pupa is comma shaped and spends a majority of time on the water’s surface as well. Two parts comprise the mosquito pupa: the cephalothorax (the head and thorax) and the the abdomen (tail). During this time the mouth, legs and wings of the adult are developing in sheaths that are curled around the underside of the cephalothorax. The pupa does not feed as it has no functioning parts for a mouth. In the adult stage both male and female adults feed on sugars from plants as well as from other insects that feed on plant sugars. This is the only source of nutrition for the males. They do not feed on blood. The females use the sugar meals for energy. Blood meals are only consumed by female mosquitoes for the purpose of egg development.